Stories about Central Oregon tick encounters are popping up all over social media. 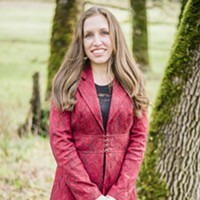 Last month, Kaylin Landry, who studies social sciences at Oregon State University-Cascades, described her tick confrontation by posting, "Guess who had her 'Oh god, that was a tick that fell off my neck and into my cleavage!' virginity taken today?" Landry explained, "We went looking for morels west of town between classes. Came home, did my usual strip down in the kitchen and headed right to the shower. Checked myself. Got out. Did my hairs and put on new, clean clothes. An hour later I felt a tickle on the front of my neck below my chin. "I thought it was a spider because I ALWAYS have spiders on me. Like, a lot. When I first grabbed it, I could tell it was not a spider but I had dropped it into my dress and in my cleavage. THAT'S WHEN I KNEW IT WAS A TICK. I freaked, pinched it with my dress, twisted it into my dress, took off my dress and shook it out into the bathtub as I called [my boyfriend] Wes on facetime, buttass naked. And I haven't been the same since. No bite, but plenty of nightmares." Ticks certainly aren't spiders, but they're in the same family. With eight legs and two distinct body segments, ticks are arachnids. A report released May 1 by the National Centers for Disease Control and Prevention notes that "Illnesses from mosquito, tick, and flea bites have tripled in the U.S., with more than 640,000 cases reported during the 13 years from 2004 through 2016," and, "nine new germs spread by mosquitoes and ticks were discovered or introduced into the United States during this time." CDC Director, Robert R. Redfield, MD said in the report: "Our Nation's first lines of defense are state and local health departments... and we must continue to enhance our investment in their ability to fight against these diseases." 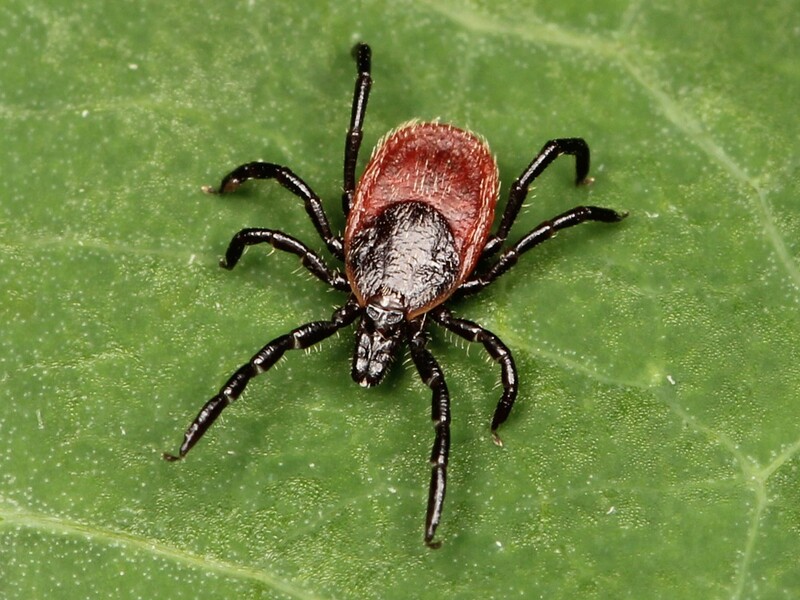 A Deschutes County Health Services webpage dedicated to ticks explains that only four of the 20 tick species found in Oregon are known to bite humans. They include the western black-legged tick, the Rocky Mountain wood tick, the American dog tick and the Pacific Coast tick. Of these species, only the WBLT is known to carry Lyme disease. 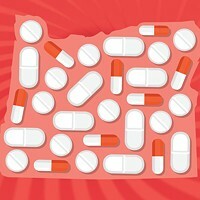 According to the Oregon Public Health Division's Tick Borne Illnesses Fact Sheet, other diseases you could look forward to contracting if bitten by a WBLT include Human granulocytic ehrlichiosis and Babesiosis. 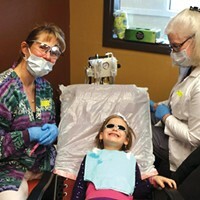 Symptoms for the former may include fever, chills, headache, muscle aches, nausea, vomiting, diarrhea, cough, joint pain and confusion, while the latter induces fever, chills, sweating, muscle aches and fatigue. Although the Fact Sheet calls for the tell-tale early onset bull's-eye rash to indicate the possible bacterium of Lyme disease (as well as fever, malaise, fatigue, headache, muscle ache, joint aches, multiple rash lesions, facial paralysis or Bell's palsy, chronic arthritis, joint swelling and numbness in extremities), it's believed to only occur in one of five cases. Defense suggestions include applying the chemicals DEET and permethrin. Deschutes County Health Services also suggest avoiding possible tick habitats during the peak time of year, running from late March to mid-October (an inconvenient time frame to avoid going out, for outdoorsy Bendites), wearing long-sleeved shirts, long pants, closed-toed shoes, tucking pant legs into the top of socks or boots (be a trend setter) and wearing light-colored clothing to make it easier to spot ticks. Still, some disease prevention tactics to combat tick borne illness are just instinctual. "Check for ticks frequently and remove them promptly," advises the Fact Sheet. No one had to tell Landry. She felt the tickle, she found the culprit and she removed it promptly. If you find that a tick has bitten you, save the tick and contact an OSU extension county office. If possible, have someone else remove the tick from your body. Use tweezers or forceps rather than fingers. Grasp the mouth parts or head end of the tick as close to the skin as possible. Gently pull the tick straight out, steadily and firmly. The mouth parts are barbed like a harpoon and might break off in the skin. If so, don't be concerned. They do not carry the bacterium and are no more harmful than a sliver. Wash hands and the bite area with soap and water; apply an antiseptic to the bite area. Keep the tick for identification if disease symptoms occur later. Place the tick in a small container of alcohol labeled with the date removed and the place it was picked up. Use the same procedures and precautions when removing ticks from pets.